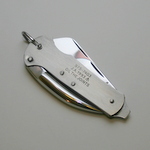 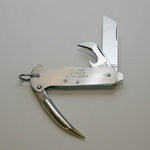 A marlin spike compliments the main blade, a bottle & can opener blade, screwdriver head and lanyard attachment on this model. 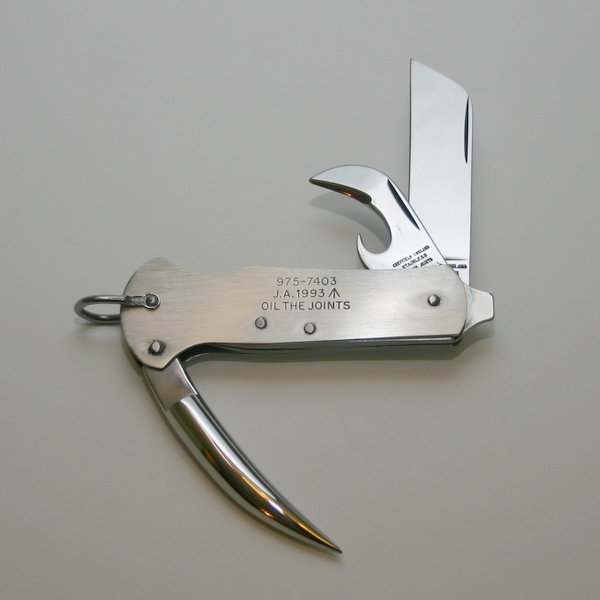 Apart from its intended use in rope work, the marlin spike has many uses from creating detonator wells in plastic explosive to clearing stones out from cavalry horses' hooves. Made in England from the finest Sheffield stainless steel.